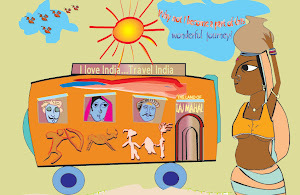 Around the beginning of second millennium BC when parts of northwestern India was under a thriving civilization with cities and towns of Indus Valley, the other parts of India had been inhabited by distinctive rural folk cultures, either Neolithic or Chalcolithic. These cultures were unique owing to their specific regions reflecting several manifestations of local belief and customs. 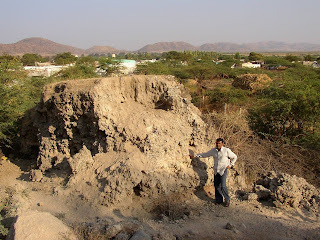 In South India, in the central part of Deccan comprising parts of modern Karnataka and Andhra Pradesh archaeologists have discovered several of such settlements which together are classified as South Indian Neolithic. One of the unique manifestations of these sites is the occurrence of a strange formation which for centuries has attracted both natives and visitors alike. 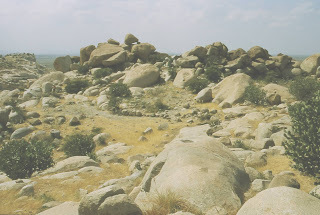 These exist here and there among the farmers' fields and atop conical granite hills. These are mounds of varying sizes and shapes with uneven surface either covered with soil or grass. When we approach nearer to them they reveal a slag like appearance, when cut trough the mounds divulge alternating layers of hard glassy and softer ashy material of various hues. Most of these mounds are unrecorded and being destroyed. 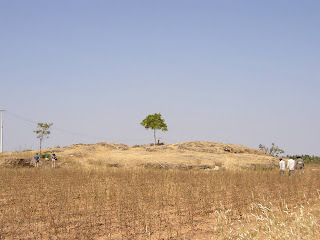 These are known to ustoday as Neolithic ash mounds of South India by archaeologists. These curious looking mounds had first drawn attention around the beginning of the 19th century. 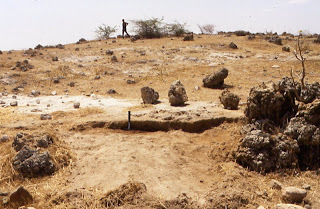 According to some of the early colonial records the locals had a believe that the mounds to be the burnt bones of giant demons who once inhabited the region. Some colonial records also suggested that the mounds were the natural limestone or volcanic formations. A few other interpreted that by products of some sort of industrial activity such as glass making, iron or gold smelting, brickmaking were the ash mounds. 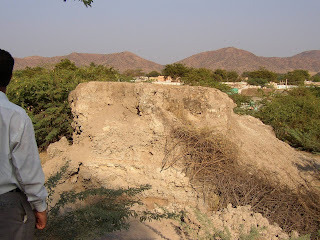 Some others claimed that the ash mounds were produced from the mass funeral pyres of communal sati performances. 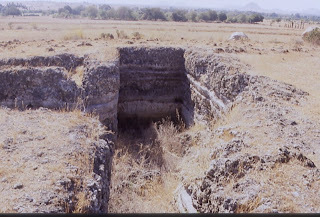 The serious scientific investigation into these mounds began after India's independence. 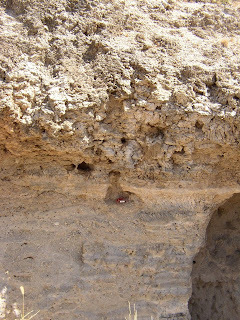 After a careful study of the chemical components of the formation, associated archaeological material, existing local lifestyle and culture, these mounds were proved that they were of Neolithic origin. 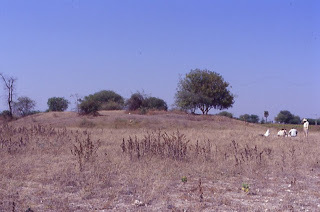 These ash mounds were resulted from the accumulation and burning of cow dung in periodic rituals that were performed by Neolithic pastoralists. 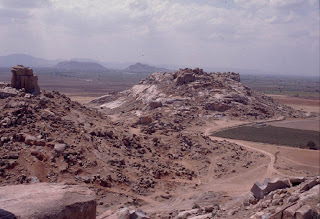 The Central Deccan landscape in which the ash mounds of South Indian Neolithic are concentrated has large stretches of flat or gently inclined plains interspersed by dramatic outcrops of granite rock and small conical hills. Many of these hills have now been quarried away. 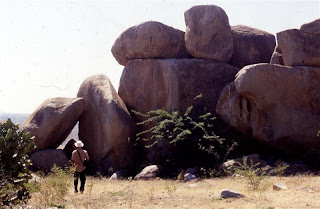 The undisturbed ones provide a glimpse of the strange and some times awe-inspiring stone formations that the herders and farmers of the Neolithic period chose to settle amongst. The most substantial evidence of Neolithic habitation is found among the hill tops, suggesting the way that Neolithic people located sites and activities, and understood their place in the world. 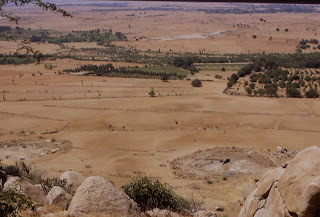 They certainly benefited from the commanding views these sites provided over very large stretches of terrain. According to environmental historians the climatic condition of this part of India was almost similar to today's climatic condition. Therefore, the terrain was devoid of any large tree covers. 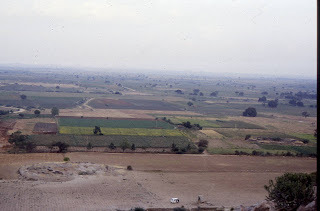 Thus, as today, hilltops would have provided clear views of the activities and movement of both people and animals in the wide area of the surrounding plain, as well as in some cases, on nearby hilltops. From the plains the hilltops would have been clearly visible. Fuller, an archaeologist also is of the opinion that the fires that took place at ash mound sites would have been evident to inhabitants who remained at distant hilltop sites, thus suggesting a medium of recognition and articulation of intercommunity level. 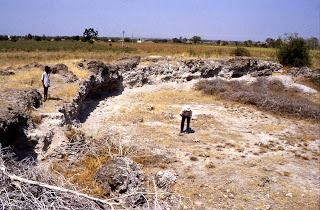 Some ash mound sites are also located in visually stunning landscape. 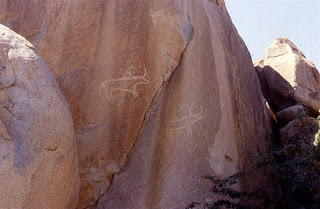 These are ritually used sites located to provide to proximity to, orviews of, unique and visually stunning landscape feature, perhaps insuch a way as to allow people to tap into the power that such siteswere understood to hold. 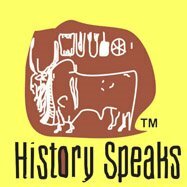 We all are acquainted with Stonehenge of England as a classic exampleof Neolithic innovation and symbols, yet are ignorant of our own heritage. 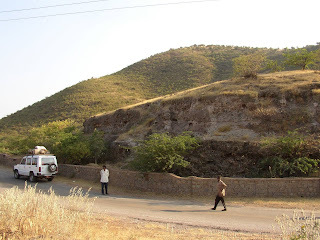 The ash mounds of Neolithic South India are a rich legacy ofIndia's past, yet we do not know about their brilliance and significance in the context of world humanity. The result of our ignorance has been causing the destruction of such wonderful relics.